The brevity and tone of the note may have been a function of the hurry the president was in during his time at the site, known as Yad Vashem, which he visited on Tuesday. Packing so much into just 27 hours in Israel left only half an hour for the memorial, a customary stop on U.S. presidential visits, which precluded him from getting a full tour of the museum. Trump had already come under fire for that perceived slight to the memorial before his one-sentence missive started raising eyebrows and making headlines. 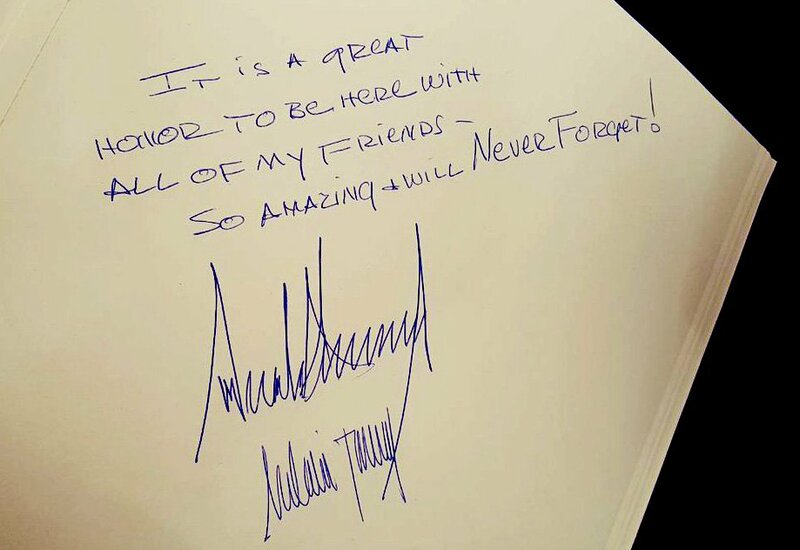 Many posts on Twitter ridiculed Trump’s guest book entry. “A lesson in what not to write at a Holocaust memorial, by POTUS,” one Twitter user said. He also referred to the Holocaust as “history’s darkest hour.” Yad Vashem’s chairman, Avner Shalev, gifted Trump an exact replica of a photo album that belonged to Ester Goldstein, a 16-year-old Holocaust victim.